Erin Moriarty: Matt Baker Lied to Me, But Did the Texas Preacher Kill His Wife? WACO, Texas (CBS) The fourth day of trial could turn out to be devastating for Matt Baker, the 38 year-old Texas preacher accused of killing his wife back in April, 2006. Since I first began reporting on this case more than two years ago, Baker has insisted his wife committed suicide and denied the existence of a girlfriend. So I, and many of the those in the Waco, Texas courtroom, were taken by surprise last week when Baker's lead attorney, Guy James Gray, began his opening statement with the admission that, yes, Matt Baker did have a girlfriend, but had nothing to do with the death of his wife. Tuesday morning that girlfriend is expected to take the stand and testify against Baker for the prosecution. Her name is Vanessa Bulls, a single mom who once was a member of Baker's congregation. She has never spoken publicly, but she apparently told the prosecution that the affair with Baker began almost two months before his wife's death. Ms. Bulls' testimony before the Grand Jury last year was reportedly so damaging to Matt Baker that the jurors indicted him for murder. 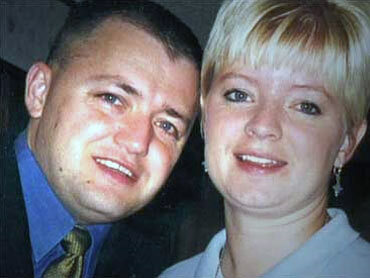 It's been almost four years since Baker's 31-year-old wife Kari was found dead in the couple's bedroom. Initially, her death was ruled a suicide after police found a note (completely typewritten, including Kari's name at the bottom) and Matt Baker told them that Kari had been despondent over the death of a daughter seven years earlier. Kari's parents, Jim and Linda Dulin, became suspicious after they discovered that Matt had given Kari's cell phone to Vanessa Bulls and began spending a great deal of time with her immediately after Kari's death. There were also questions about Baker's story about the events of the night Kari died. Baker was also researching certain drugs online and tried to buy a powerful sleep medication, Ambien, before Kari's death. Authorities were concerned enough to have Kari Baker's body exhumed months later, but they couldn't determine her cause of death. Kari's body had been embalmed, so there was no blood to test for poison or narcotics. The evidence at trial so far has been damaging. Witness after witness has taken the stand to contradict Baker's story. Still, as Baker's attorneys point out, he may be a liar, but that doesn't mean he is a killer. The evidence against him is substantial, but circumstantial. And Baker has not yet put on his defense. That's why Vanessa Bulls' testimony is so important. She will likely establish that Matt Baker is a liar. But will she also convince the jury that he is a killer? Erin Moriarty is an attorney and an award-winning correspondent for CBS News. She covered the Oklahoma City bombing, the Columbine High School shootings and the 9/11 investigation overseas. Moriarty has won nine national Emmy Awards and a 2001 Press Club Award, among others. She is currently on currently covering the Matt Baker murder trial in Waco, Texas for 48 Hours | Mystery, where she has been a correspondent since 1990.